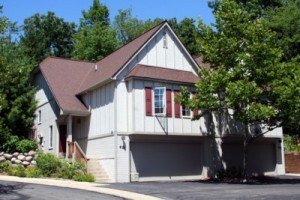 Ridgewood Condos is a collection of spacious units in a secluded setting. Nearby you will find downtown Ann Arbor, shopping, restaurants and many conveniences. There are currently 0 units listed for sale and so far this year, 1 unit has sold. 619 Ridgewood Court, Ann Arbor. $250,000. 1555 sq. ft. +270 in the finished lower level, 3 bedrooms and 3.1 baths. Due to the small size of this complex, typically only 1 or 2 units become available for sale each year. Prices have remained relatively steady here, with a low in 2009, as with the rest of the real estate market. To learn more about values at Ridgewood Condos or to be receive instant notification when a new listing hits the market, contact the Ann Arbor Condo specialists with The Bouma Group today at 734-761-3060 or info@bouma.com. Visit our Condo Hotline where you can view floor plans, by-laws, and photos, plus see what’s listed for sale and recently sold!